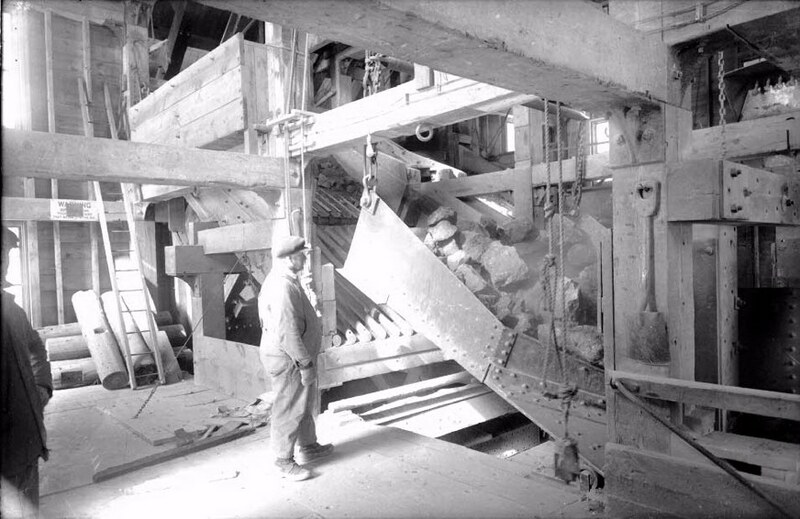 Here are a variety of images all associated with the great Calumet & Hecla Mining Company. I've received many letters from people whose relatives worked for C&H, and each related a particular event that occurred many years ago. 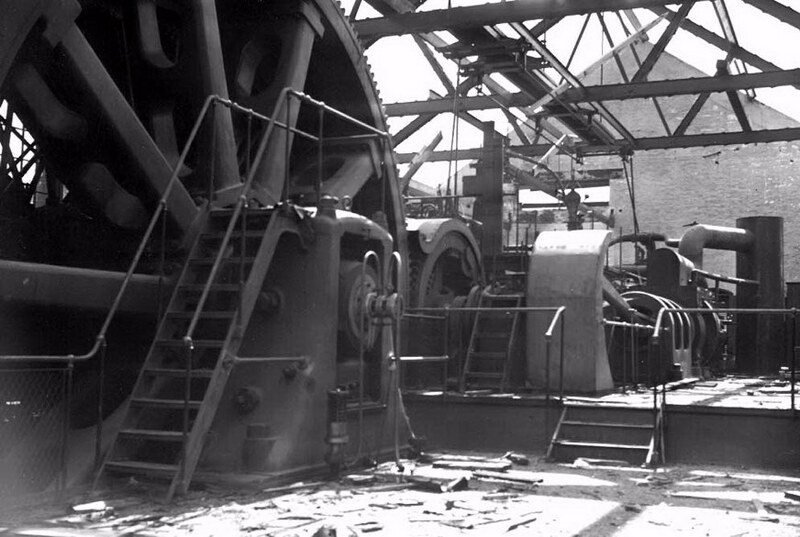 The famous C&H band, activities in the common area west of Mine Street, or the world-famous machinery all invoke memories of the stories told by someone's grandfather or great uncle. 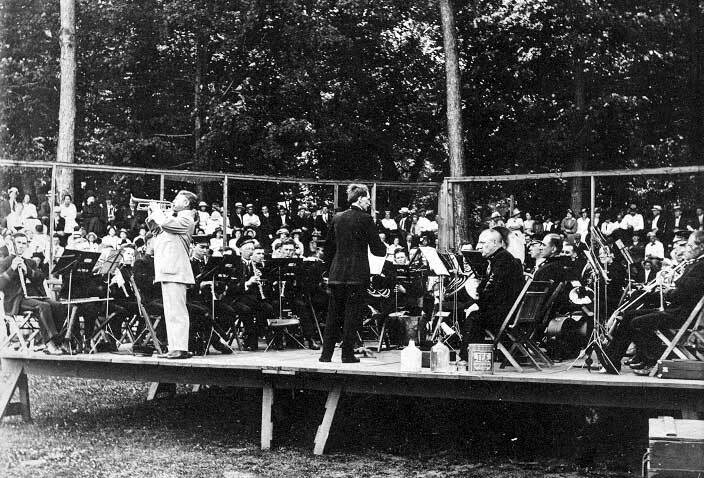 Here is the C&H Band, about 1916, giving a performance in the "Section-16" park. The director is Clarence Cook, and the soloist is identified as Herbert Clark. 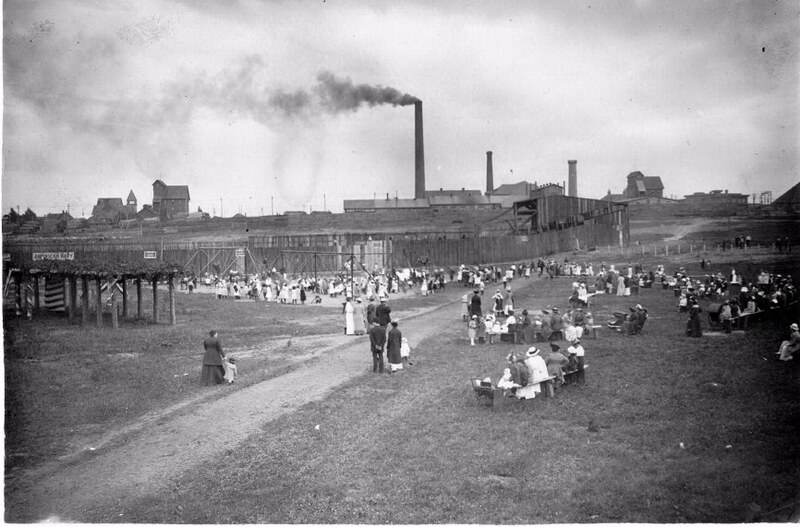 The commons, about 1917, which later became Agassiz Park. 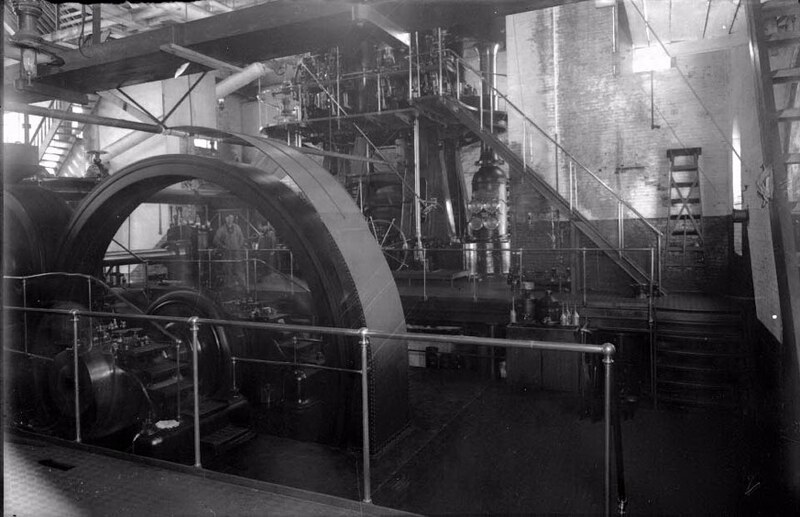 In the background, Calumet #4 shaft is on the left, and #2 shaft and the high school are on the right. A Calumet snow roller. 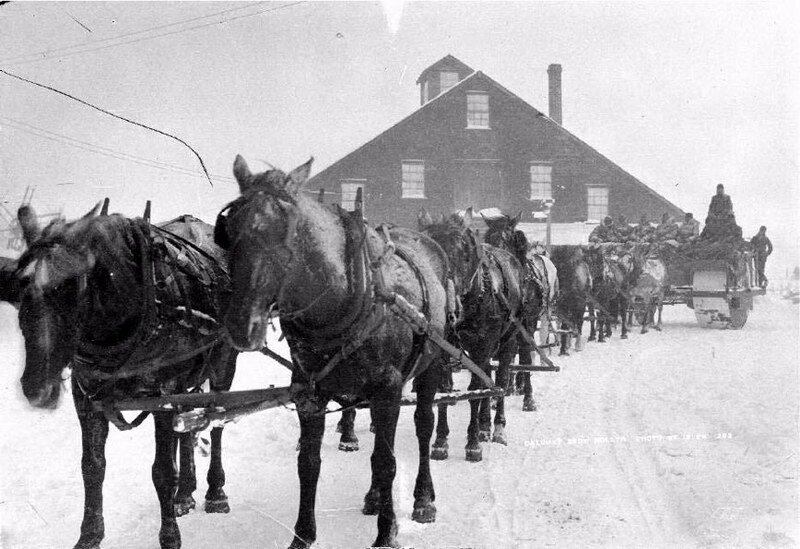 Who needed a plow when you could just roll the snow flat! Dated 1893. 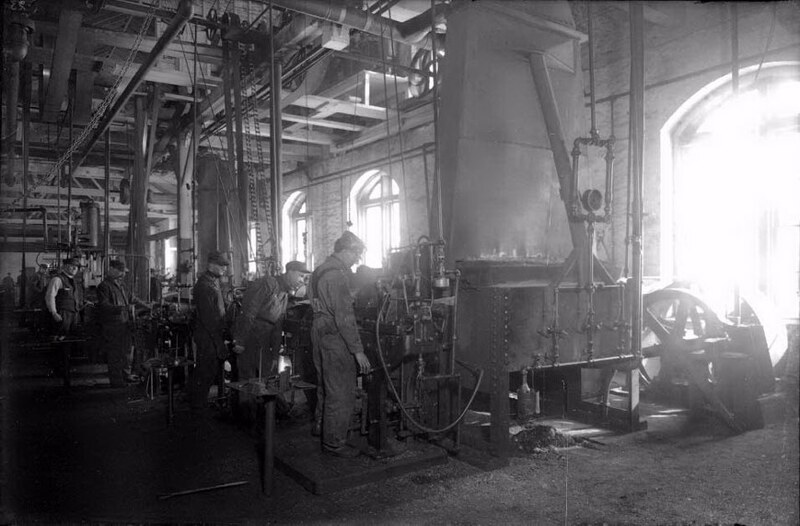 A great view of the large boiler house, with coal bins on the right, for the Superior engine. 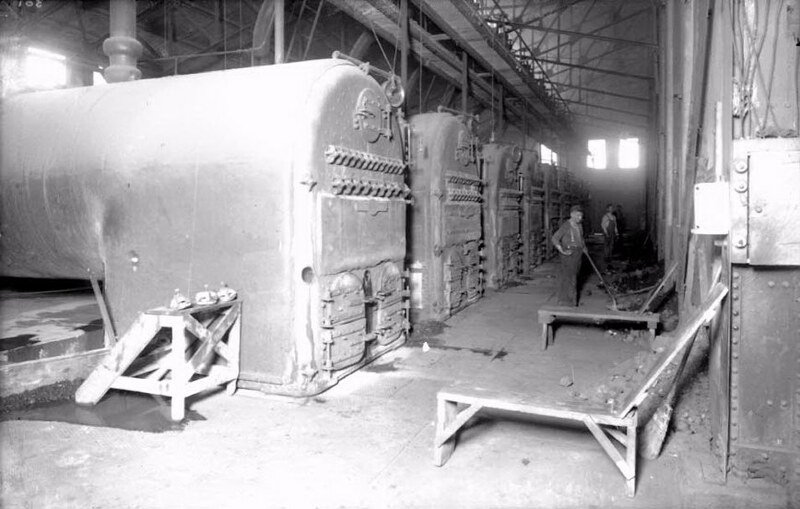 These 8 boilers could generate enough steam to power the 4700 HP engine! The drill repair shop, which is still standing behind the new school complex on Mine Street. 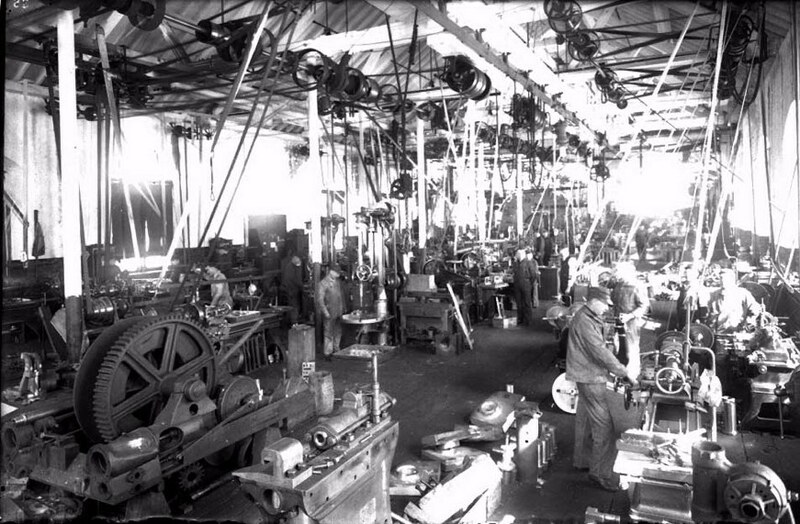 An excellent view inside the machine shop, the best in the Copper Country. This building too is still standing on Mine Street, just south of Red Jacket Road. 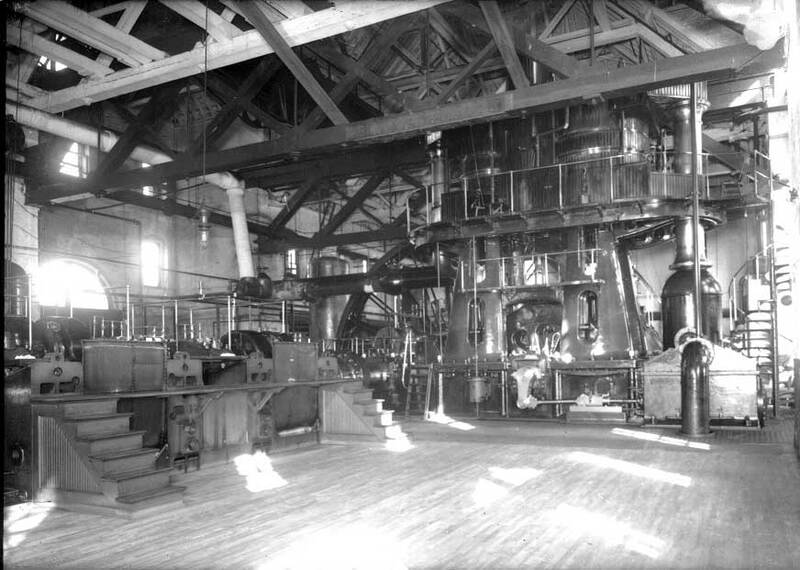 Inside the rock house of the Red Jacket shaft, about 1916. Here are 2 views (above and below) of the world-famous, 4700 HP Superior engine, the largest in the world in her day. Dated to about 1900-1910. 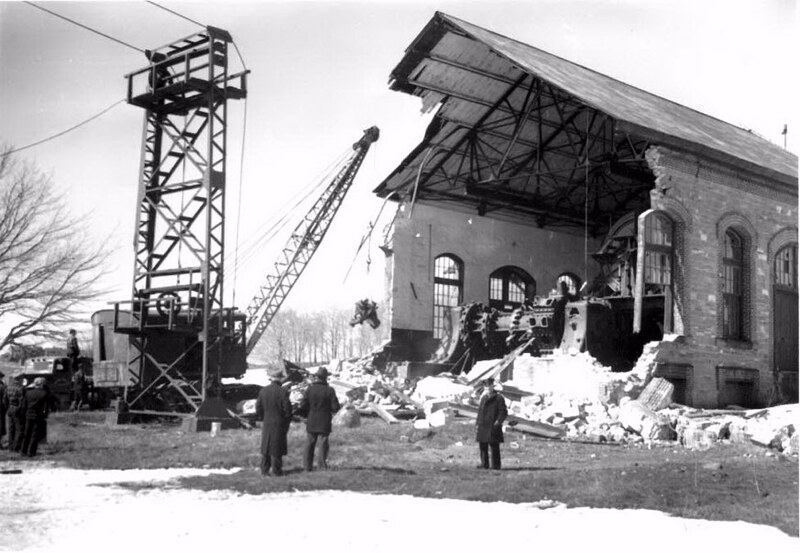 Taken sometime in the late 1940s, these 2 photos show the final demolition of a couple of the larger engine houses of C&H. I believe the top view is at Red Jacket shaft, and the lower could be the Pewabic.